Can a company grow without growing dumber? Why is it that successful companies that grow bigger and stronger also grow slower and dumber? Almost every time a company grows, it becomes dumber and slower in its reactions. Maybe this is because of the bureaucracy growth that every company experiences as it expands its size. The dozens of steps and approvals required for every single move make it seem not unlike a huge dinosaur, where every bit of information takes longer to get to the brain and make the way back with an appropriate answer. Also, the moment when a company becomes dumber more often than not matches the moment when you can’t reach the decision makers directly anymore. The moment when you don’t have access -at least via e-mail- to the top boss anymore. The moment when the CEO stops reading his/her own mail and somebody else sorts through it. CEOs love yakking about “communication” and “being open to new ideas”. But they are not putting their money where their mouth is because 99% of the times, unless you have or you know someone with the proper connections, you can never reach the true decision makers directly. Internet gives the chance to tap into the world´s virtually infinite pool of ideas . So, why aren’t big companies taking advantage of that? Some CEOs of big companies do this. I happen to know so because I’ve been able to contact them easily. Some celebrities do this as well. I know it because I’ve managed to get in touch with them. Easily, too. Be it an e-mail account, Twitter, or any other medium, they all have an open line of communication for you to reach them directly. They answered back. Maybe in five minutes or two months, but they all did. And, coincidentally, these are always people whose businesses do well. People who is able to listen and extract valuable information out of it. 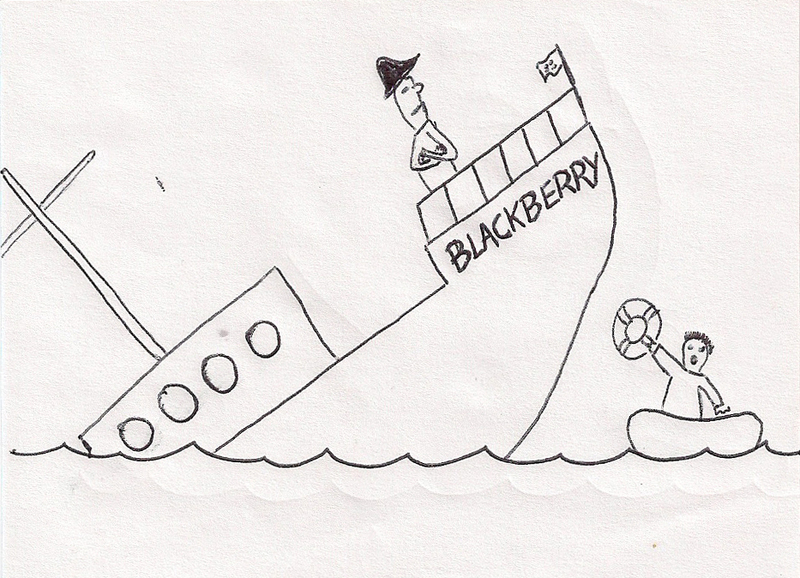 If a regular Joe has an amazing idea to turn Blackberry around and put it back on top of the market but he just can’t get a hold of the true decision makers in the company, then Blackberry has a problem. Maybe Joe does not want to send his idea via some anonymous Suggestion Box where he doesn’t know who will read it. He wants someone important to read it and he wants that someone to know that the idea belongs to Joe. Because 99% of the times, Joe will want some sort of compensation for it. Nobody wants to see their ideas fall into the cracks of bureaucracy before reaching their intended destination. If I were the boss of some big world-renowned company I would make sure that there is a visible e-mail address where anybody can find me. Not my secretary or somebody else but me. And I would set aside a bit of time to check it every day. Bosses are usually good at managing time. They should devote some of it to read the mail they receive from the “outside world” on a daily basis. They are the only ones who can decide if an idea is good or bad. Not their secretary. Or the guy in charge of reading the suggestions from the Suggestion Box email. Most of the ideas sent to big companies are rubbish. But if at least one idea is actually great then it´s worth going through the whole pile. And it´s worth taking the time from a person who has a real criteria and understands what the company needs to a level that only the top bosses possess because, aside from being good time managers, bosses are usually people who can recognize a good idea when they see one. They should exercise that talent more often by personally reviewing the ideas sent by the outside world. The Big Kahunas should be easier to reach. Be it Barack Obama, the Pope, Larry Page or whoever is in charge of each boat. I´m not asking for their home number. Just a direct e-mail address where I know if I send a message it will reach its intended destination. Quite possibly I can´t change the world. But I’m sure that there is someone amongst the 7 billion people in the world who can. And that person, whoever and wherever he or she is, should have the path as cleared as possible.